Denim, in it’s many forms, is an established, year round fashion trend and a key staple in everybody’s wardrobe. New blends, treatments, design details, silhouettes and embellishments are introduced with each season. Despite its mass appeal and recurrence in contemporary Men’s, Women’s and Children’s Wear, finding the perfect jeans for your infant is a difficult, and often futile, endeavor. Our Turkish 100% Cotton Denim was one of the original “inspiration” swatches chosen for our first Collection, handpicked for it’s amazing softness, perfect mid-Navy wash and pliability. A common grievance with infant denim is the rigidness and weight of the fabric, constricting movement and comfort for your child. Our Toddler and Infant Jeans are lightweight and supple enough for all day wear, with a wide, non-roll elasticated waistband for perfect fit and ease at the waist. Another issue with infant jeans was the absence of restrained and fashion forward design. Many commercial brands offer similar garments, featuring excessive pockets and branding, different blends of fabrics and trims, and a military/cargo aesthetic. Our jeans have been designed with an on-trend, straight leg silhouette, classic two-pocket detail at hip and a simple, embossed Pappe Leather Patch. Our Newborn Denim Jeans also include wide, elasticated ankle cuffs for a secure and comfortable fit. 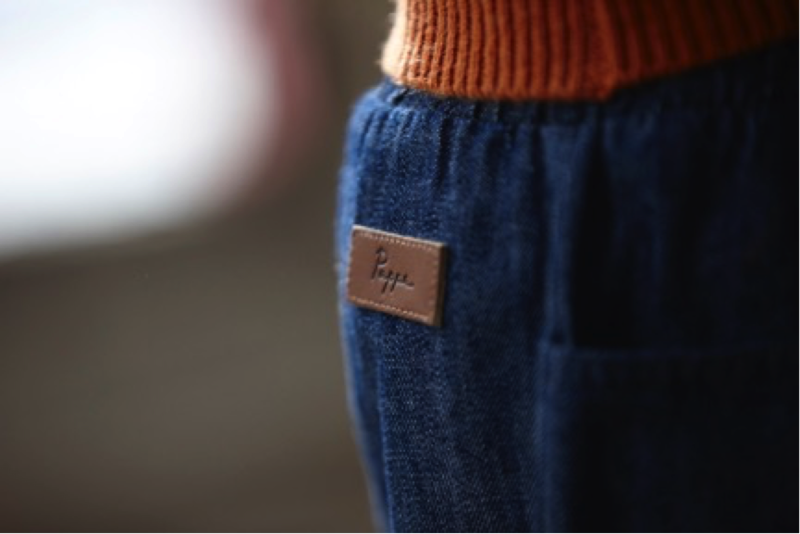 This attention to detail, refined design and beautiful fabric ensures Pappe’s Denim Jeans stand out from the crowd. 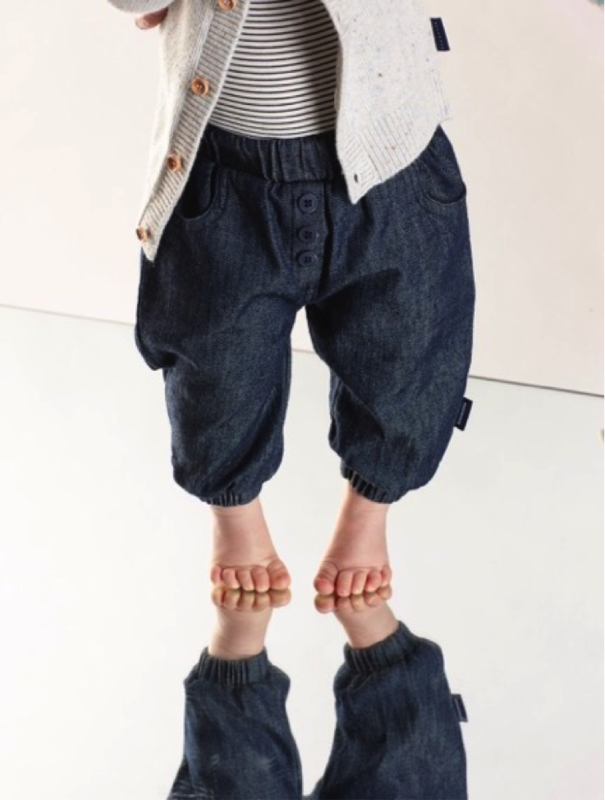 Pappe Toddler and Infant Jeans in 100% pure Turkish Cotton… the new denim staple.